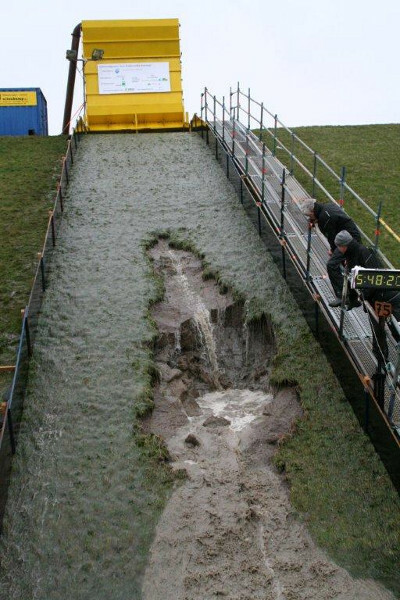 Three types of simulators have been designed: for wave overtopping, wave run-up and wave impacts. A summary paper (1182 kb) is available on processes to be simulated and the working and capacity of the simulators. A recent development was advice for an avalanche simulator at Iceland. 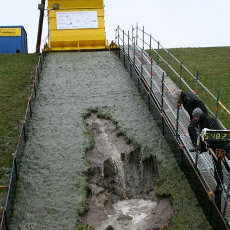 and that testing of dikes, levees and embankments can be best tested in situ. The simulator has been developed within the ComCoast project and first tests have been performed in March 2007 by the consortium Royal Haskoning/Infram. First results have been described by Dutch journals De Ingenieur and Civiele Techniek and at international conferences. Also the SGR (Smart Grass Reinforcement), a prize winning idea by Royal Haskoning/Infram to stabilize inner slopes of dikes, has been tested. 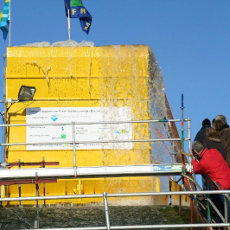 Further tests have been performed for the Rijkswaterstaat, with Deltares leading the Consortium. Tests were performed in 2008 and 2009. A summary report of all test results from 2007 and 2008 is available for download. A summarizing paper, including the tests of 2009, can also be downloaded. The simulator was in 2007 nominated for the "Vernufteling", the yearly price for best invention by an engineering company in the Netherlands. 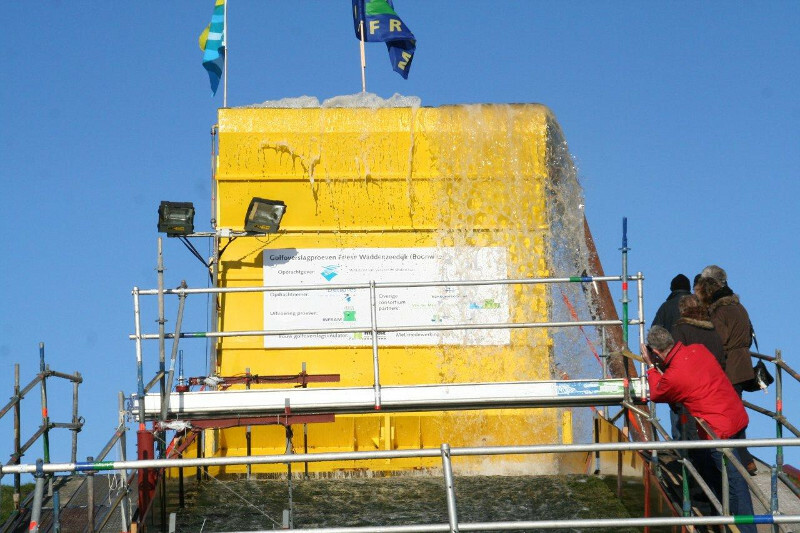 In 2008 a Wave Overtopping Simulator has been designed for Vietnam (Water Resources University, Hanoi, in cooperation with Delft University of Technology). This Simulator has tested Vietnamese dikes in 2009 and 2010. 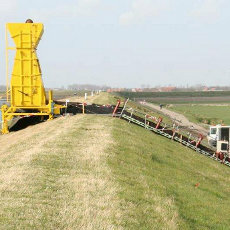 Moreover, a three times innovative and larger Simulator has recently been designed for the USA, see the the 2011 papers at Coastal Structures 2011. Most recent development is a grass sod strength puller, which can be used to test the actual strength of grass covers. See the movie below for an impression.